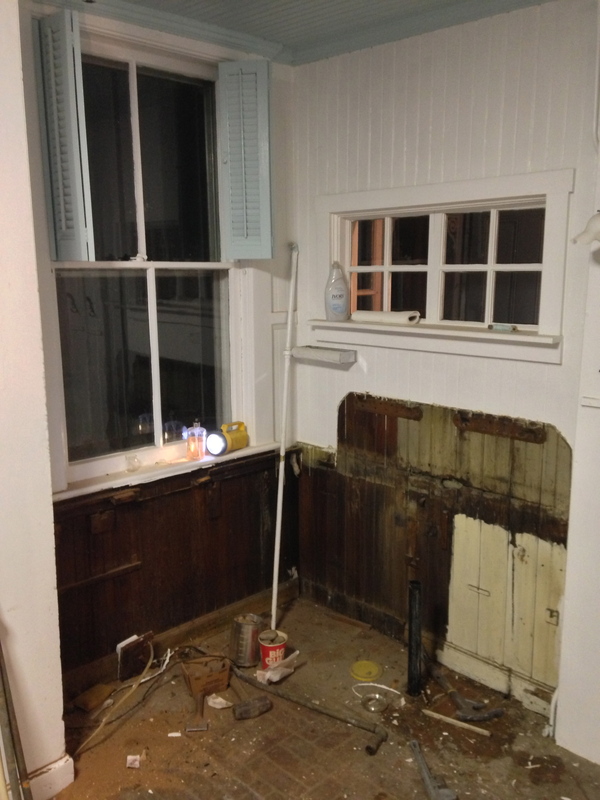 So this Victorian house didn’t really have a kitchen. 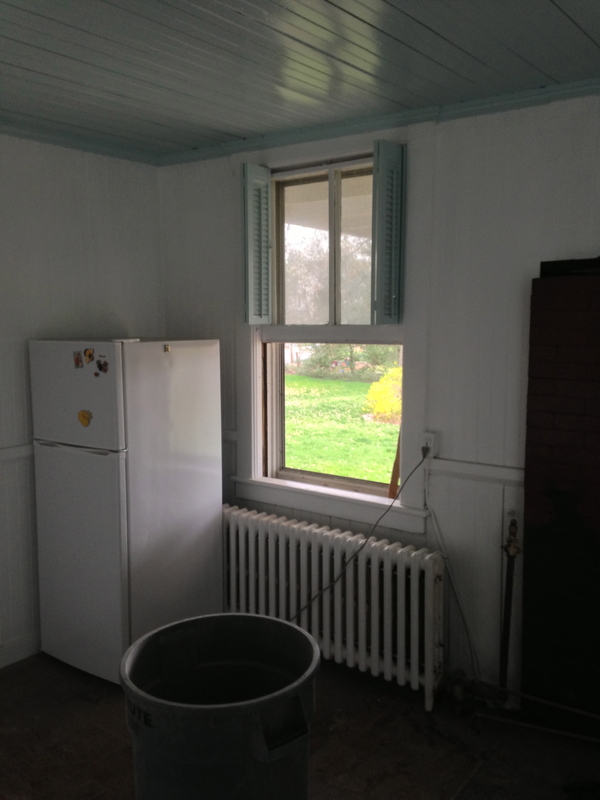 It had an area for a kitchen, just nothing kitchen-like in it aside from a fridge and a sink. 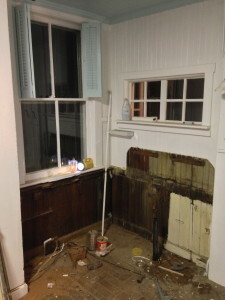 Take a look in the Before tour post. 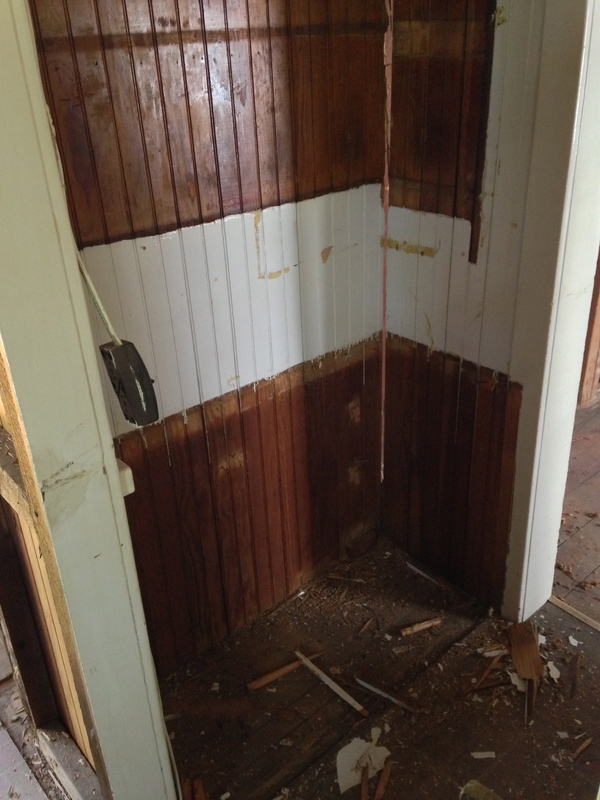 Needless to say, what WAS there had to go. 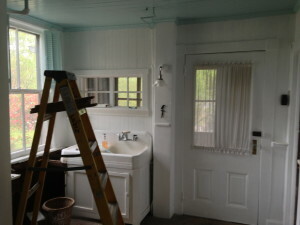 Here are some more pics in its before state. 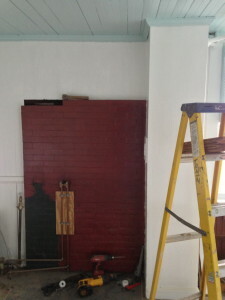 See the red brick and the box next to it? 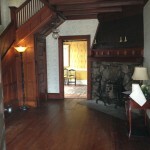 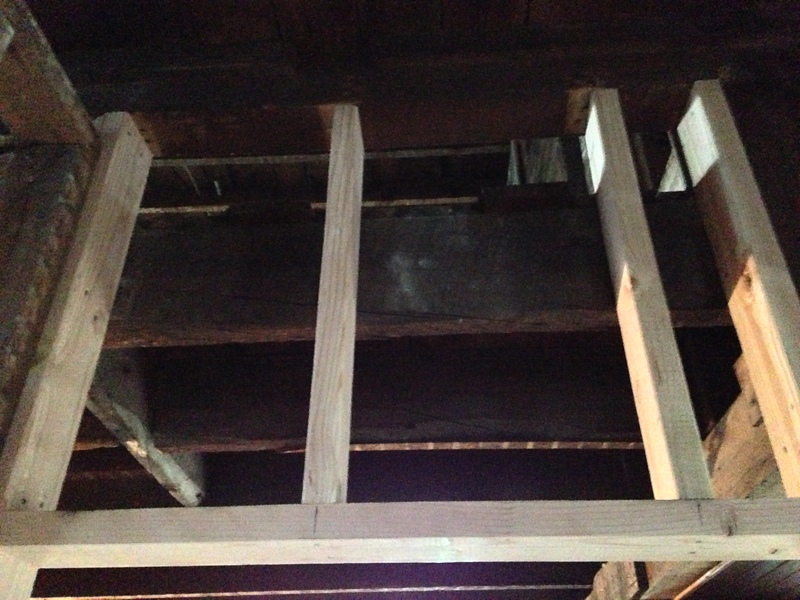 That’s an old, sealed fireplace and a chimney that goes all the way up to the attic. It’s also completely full of dust and soot. 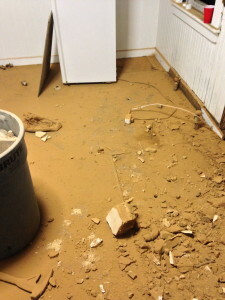 So that will be fun to take out. Enough of that, let’s trash it. Taking the chimney out gave the room a nice Mars feel to it. 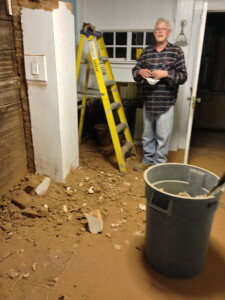 And after it’s out the kitchen seems that much bigger. 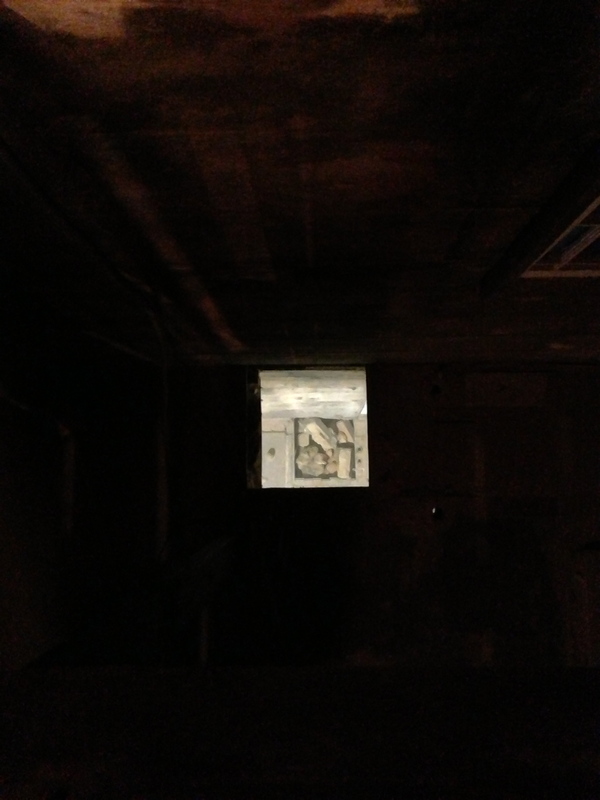 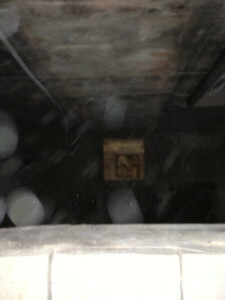 The view from the attic down the chimney. Big mother. 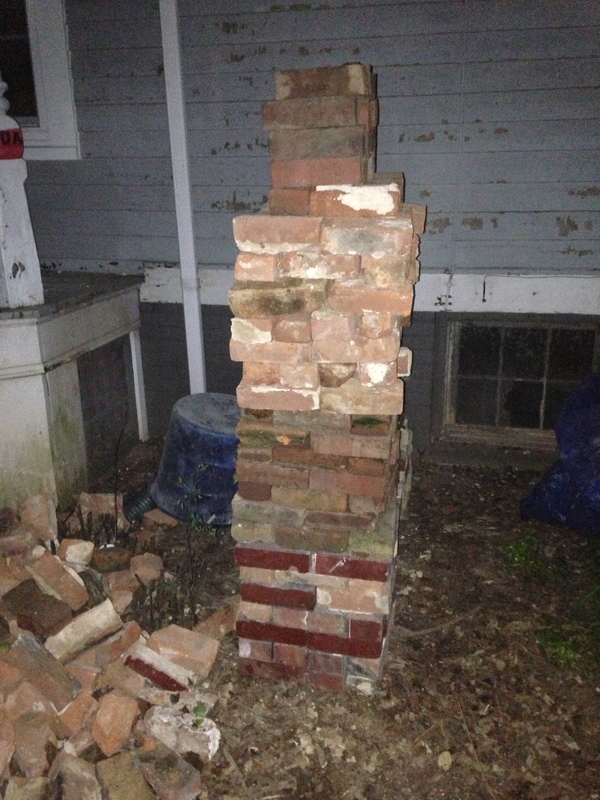 But it was fun throwing bricks down it, haha. Not so fun having to take them outside. 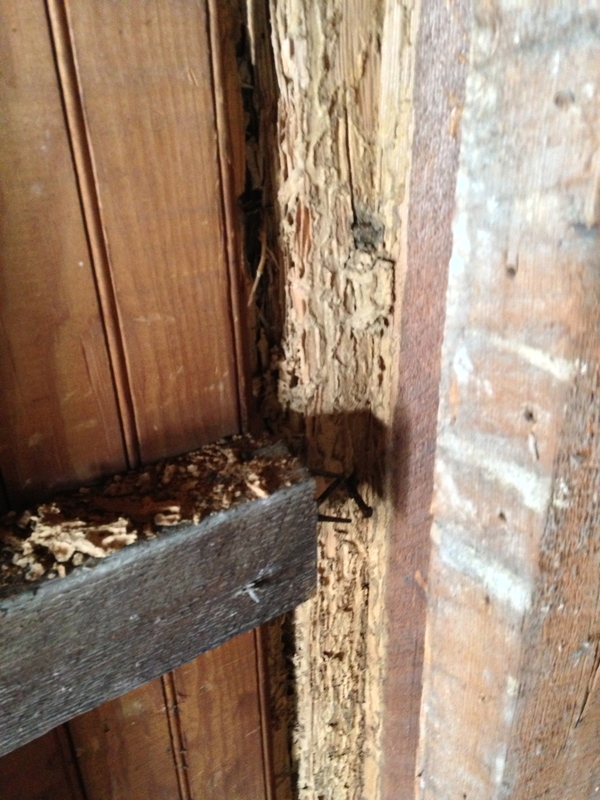 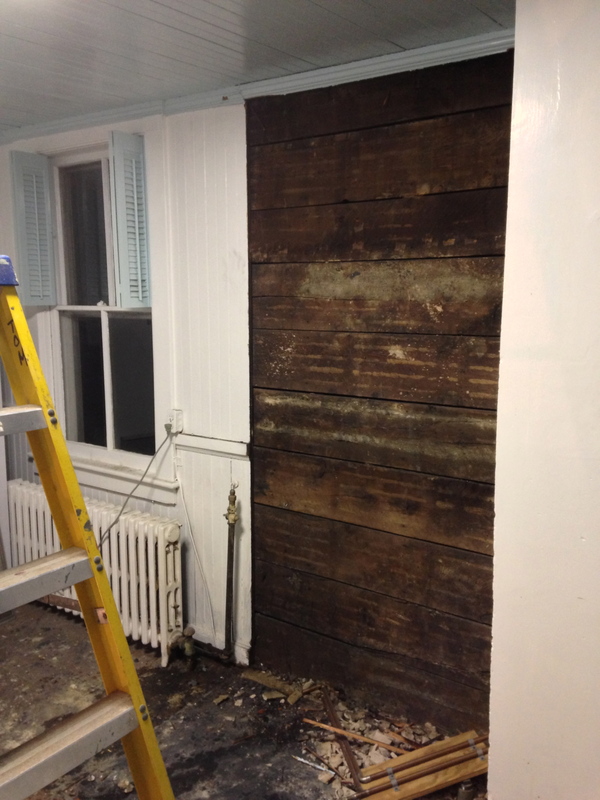 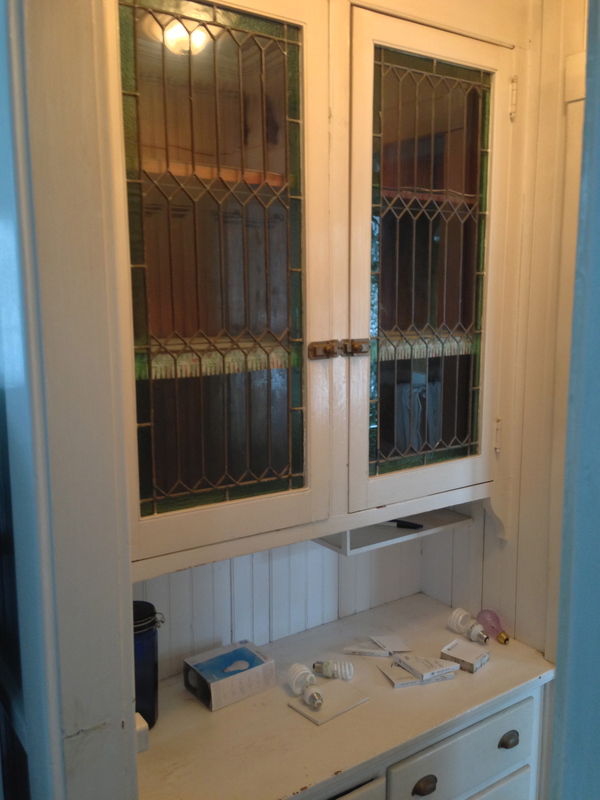 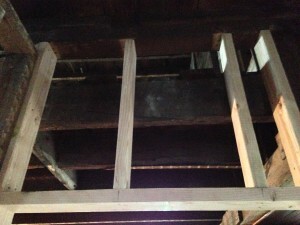 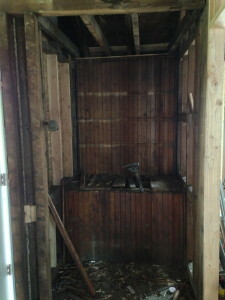 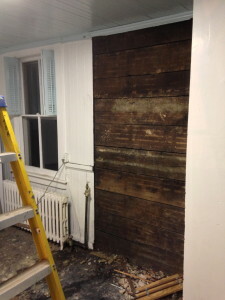 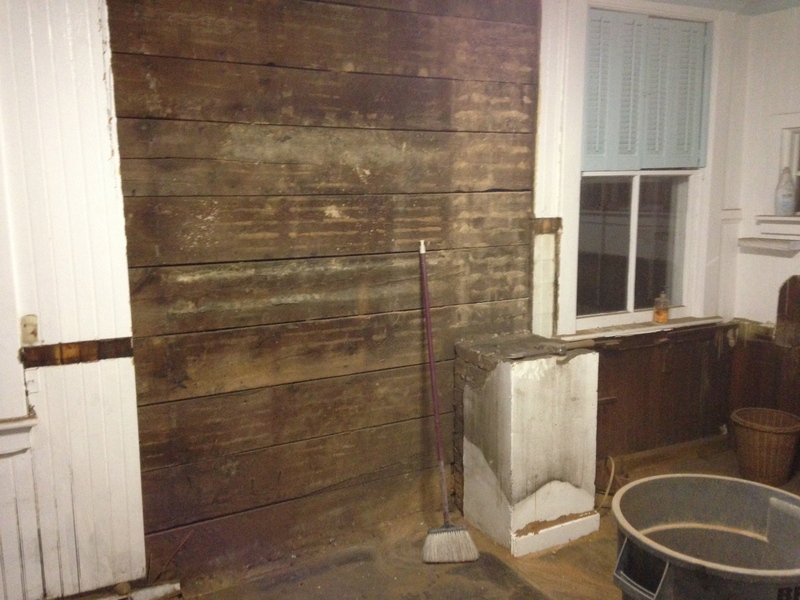 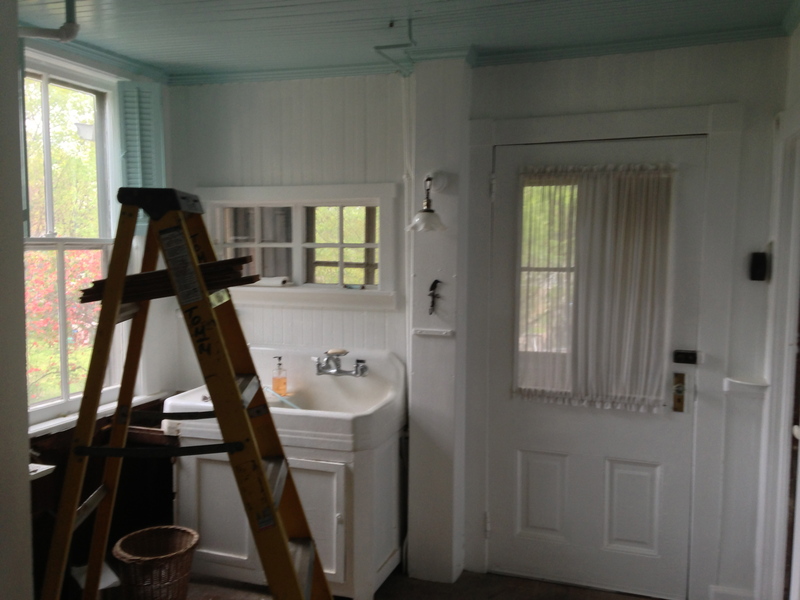 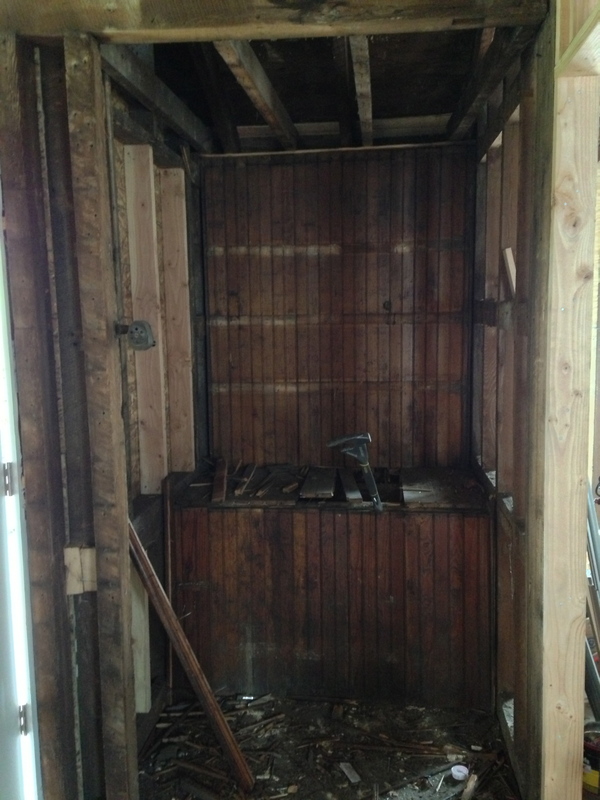 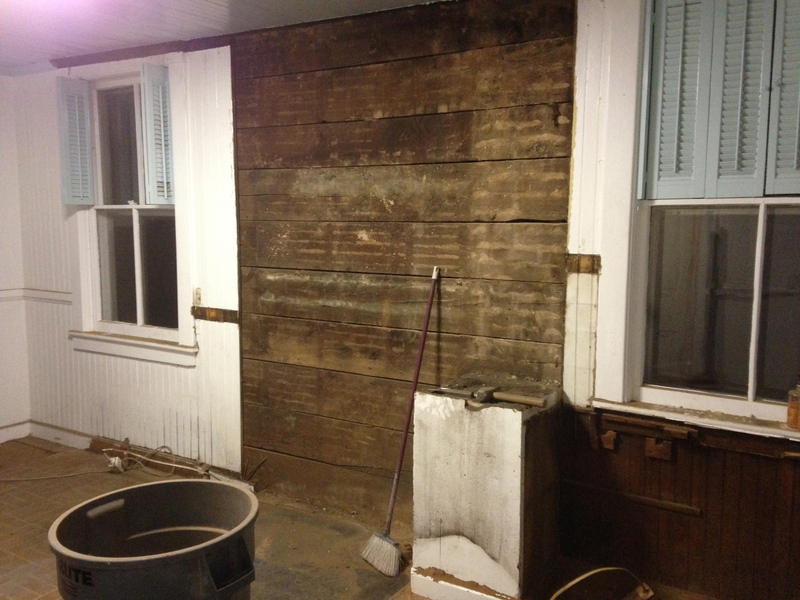 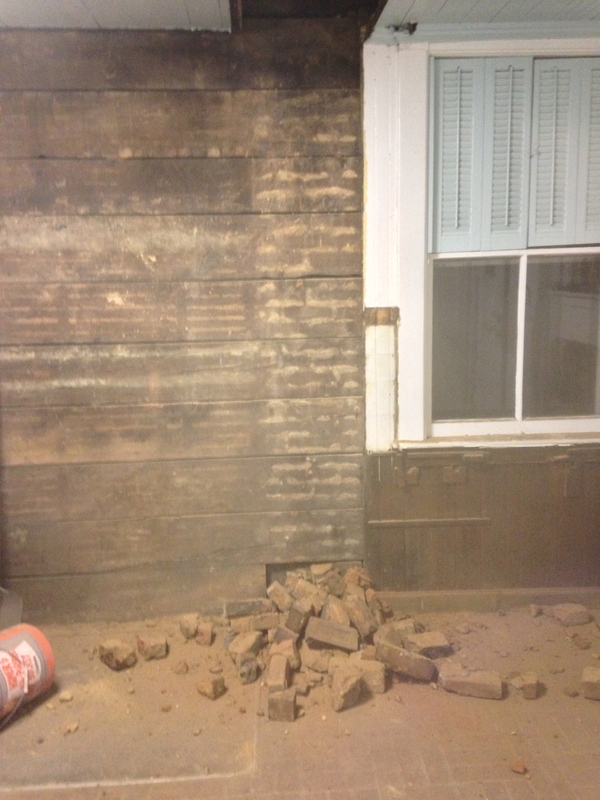 Unfortunately the Butler’s Pantry was incredibly termite damaged along the back and bottom and had to be removed. 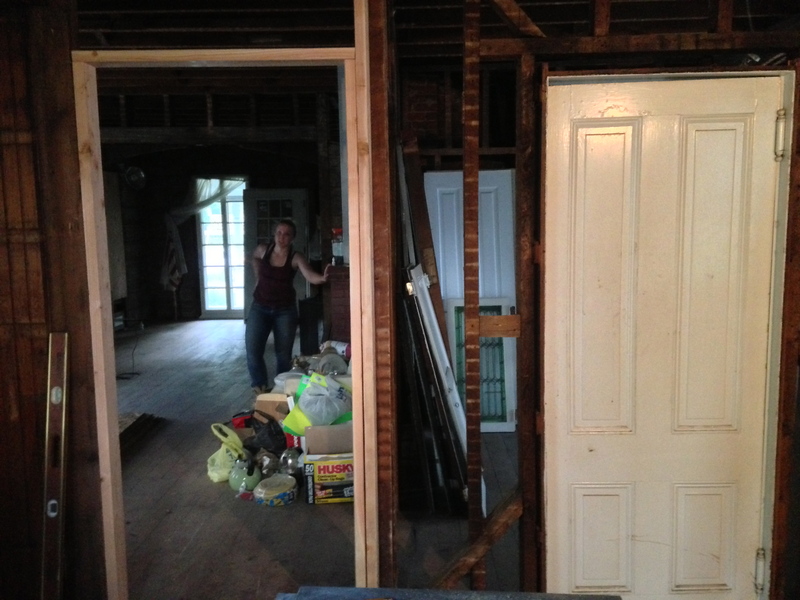 The front glass doors were salvageable and are awaiting their own project for the future. 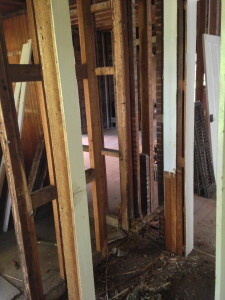 Next came ripping out the walls and up the floor. 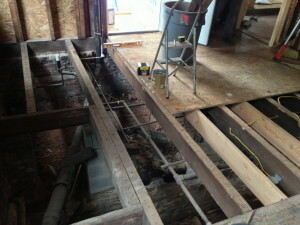 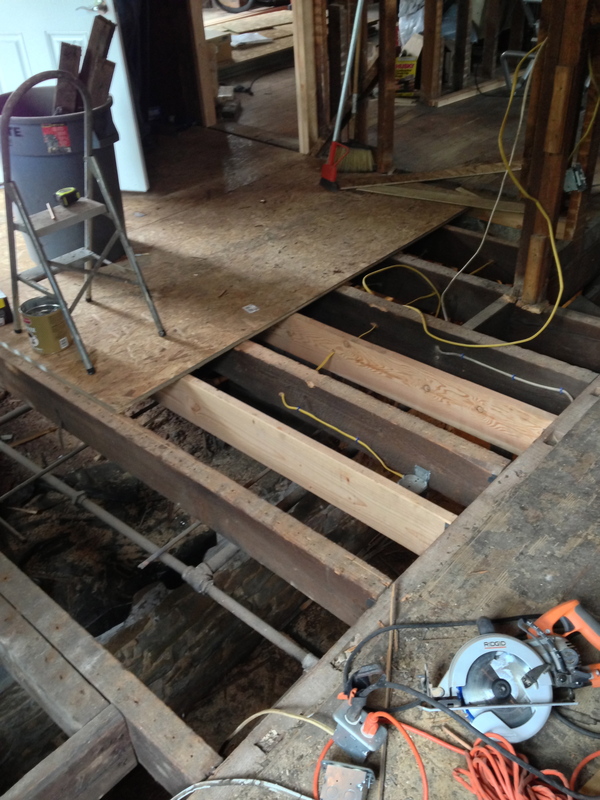 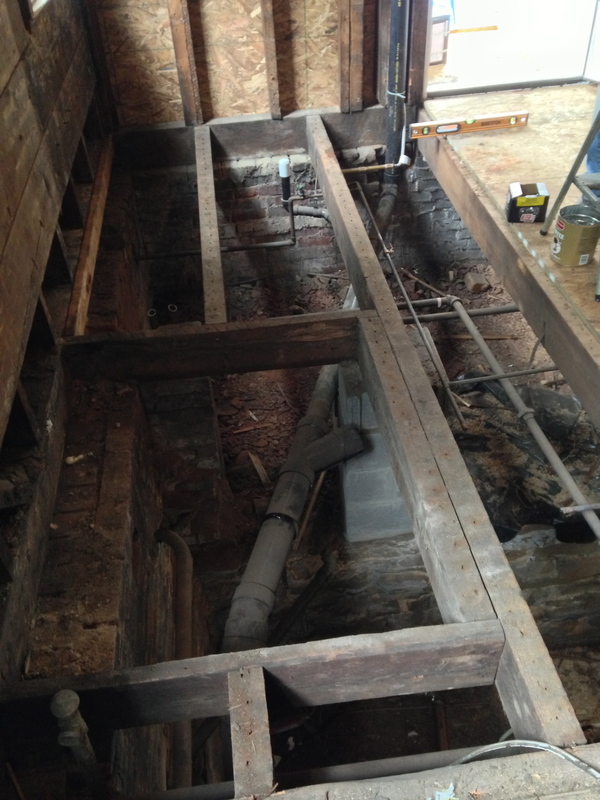 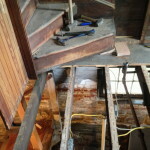 The joists were very far apart or outright damaged. 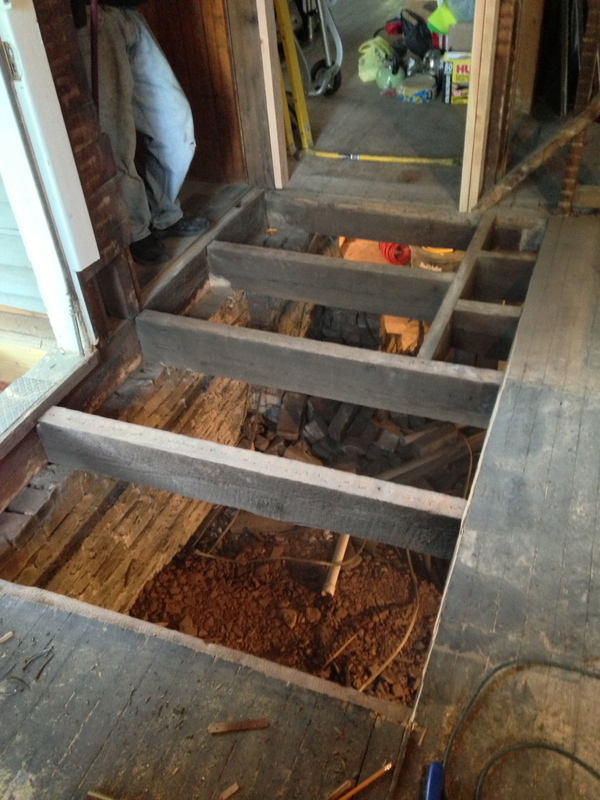 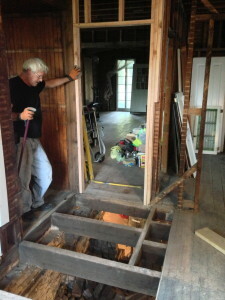 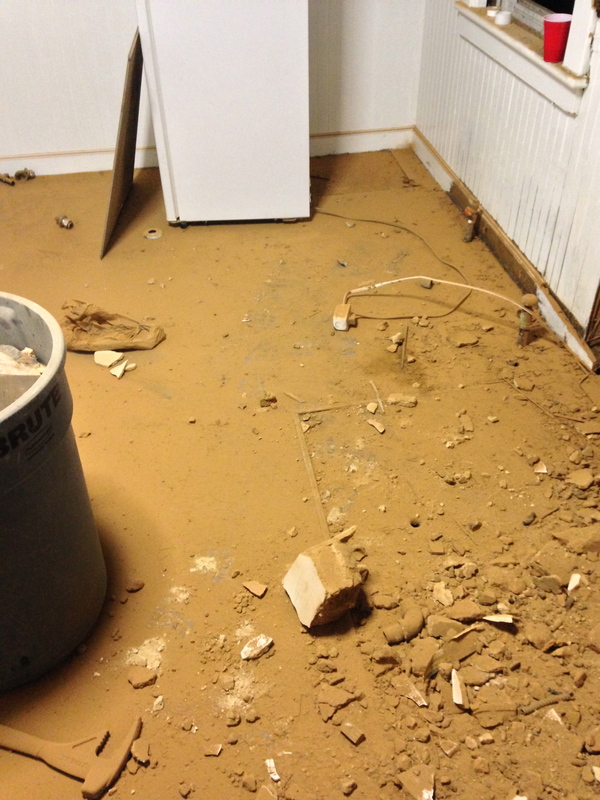 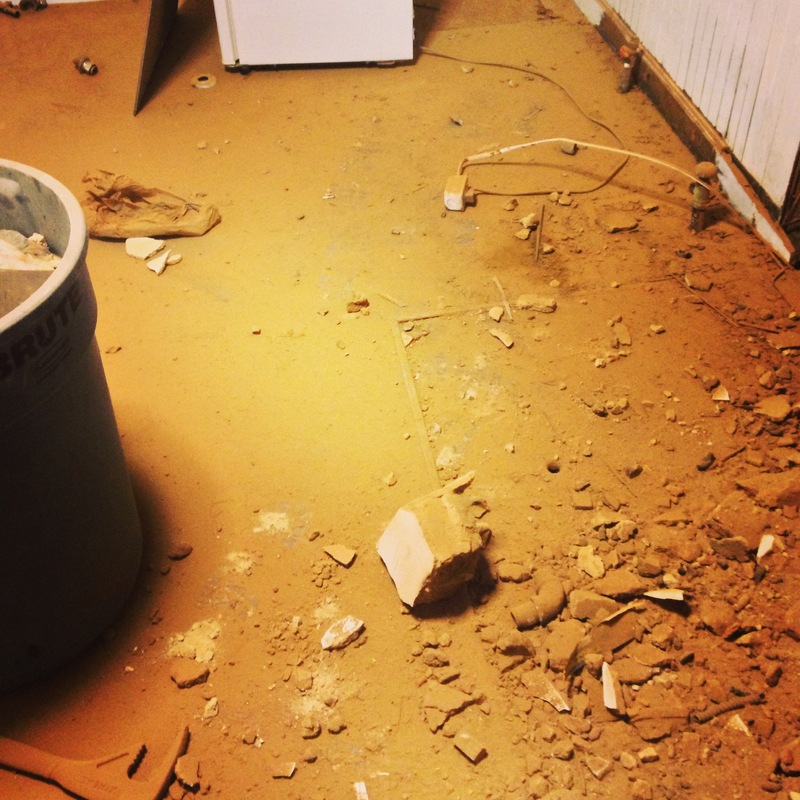 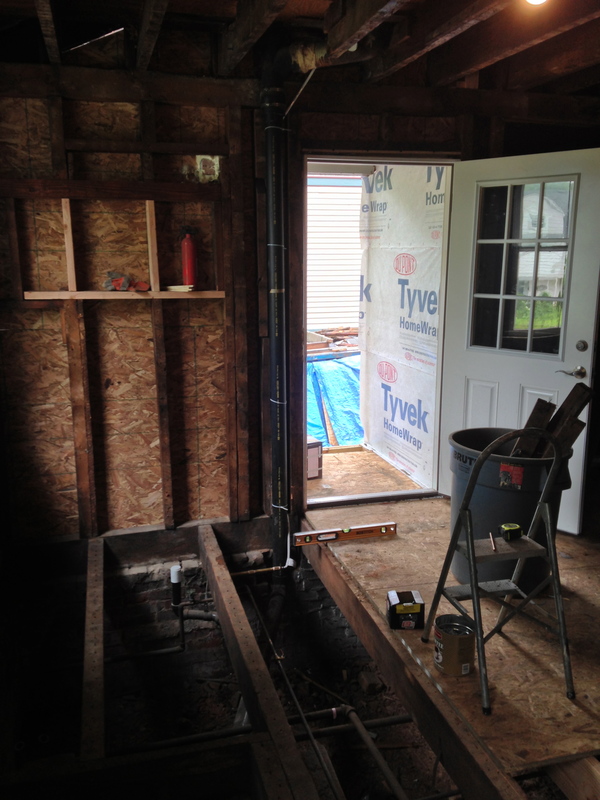 A lot of replacement work was done before we could put down the subfloor in the kitchen. Even so, we had to get the part near the back door done quickly as we had to redo the outside porch. 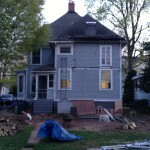 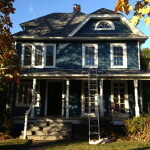 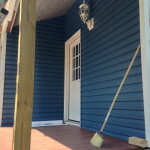 These pictures go hand in hand with THIS post about the side porch redo. 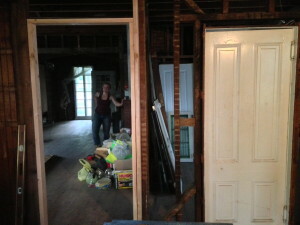 This was the walk-in pantry. We removed the strange, covered window and turned it into a solid wall. 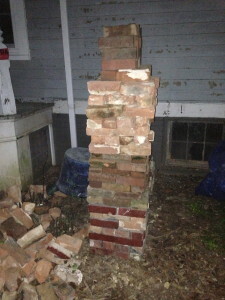 Nothing much else to report there.